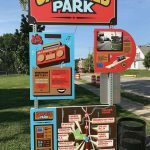 In July 2017, Transportation for America announced its selection of three communities to receive creative placemaking grants through their Cultural Corridor Consortium program. Transit Drives Indy was among the recipients that proposed to apply artistic and cultural practice to shape large transportation investments — positively transforming these places, building social capital, supporting local businesses, and celebrating communities’ unique characteristics — thus, forming 3C Indy. 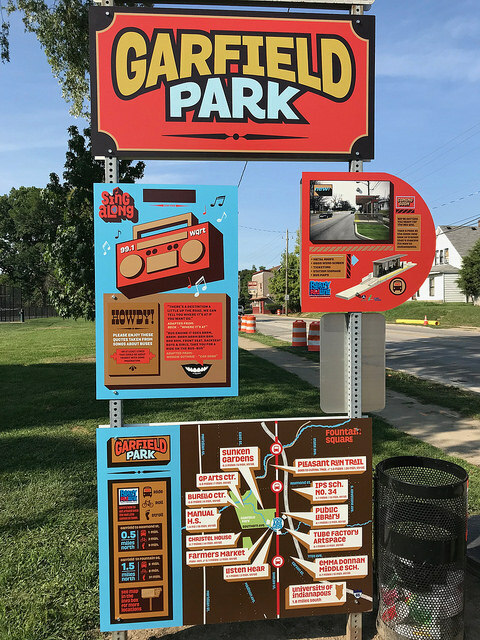 The mission of 3C Indy is to create a new culture of public transit in Indianapolis by activating artists and arts partners through a multi-year creative placemaking program. 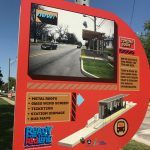 3C Indy is designed to educate and engage communities, and promote and monitor progress throughout the implementation of the Marion County Transit Plan. You can read more about the grant here. 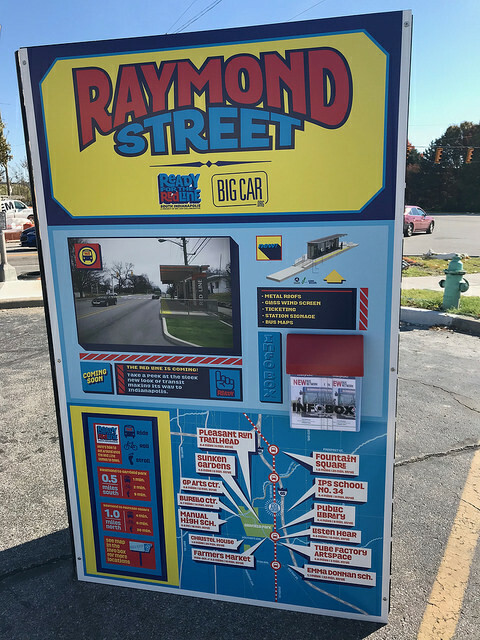 In partnership with Transit Drives Indy and the Arts Council of Indianapolis, Big Car Collaborative began a community engagement process that later informed the creation of three wayfinding kiosks on the southside of Indianapolis. 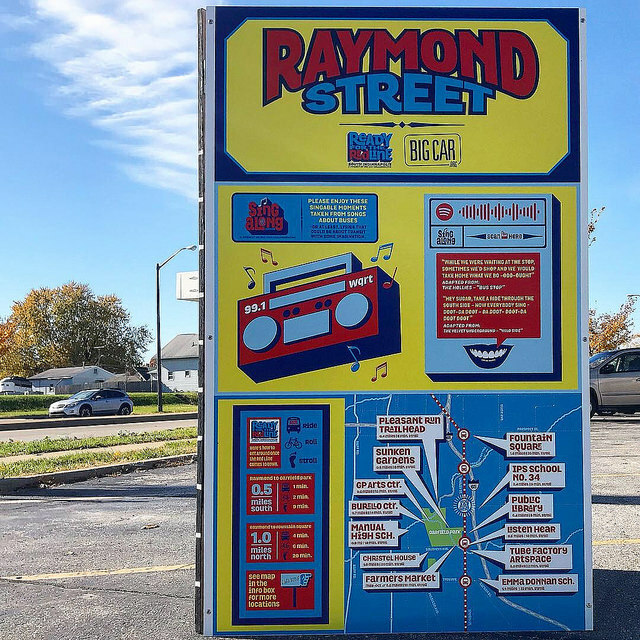 As a result of events like Red Line Movie Night, Red Line Craft Fair, and Red Line Block Party, Big Car learned what residents wanted to know about the incoming rapid transit system and what locations along the route were important to the neighborhood. This information was then translated into three kiosk designs by staff artist Josh Betsey. Each kiosk includes a map of the area highlighting local attractions, diagrams of what the Red Line stops will look like, informative pamphlets about the IndyGo transit system, and interactive features like Spotify scan codes that lead to playlists about transportation and a Where Will You Go on the Red Line? chalk board. 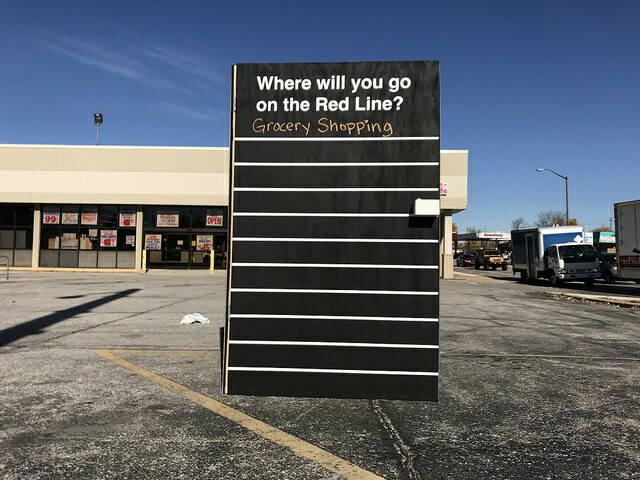 This chalk board encourages participants to write where they will head to after the Red Line is up and running. 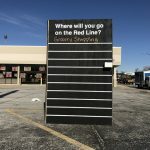 The board can be used to gather data about Red Line destinations and the neighborhood. 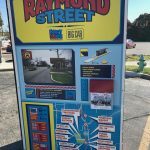 The first kiosk was installed near Safeway Grocery Store at E Raymond Street and Shelby Street. 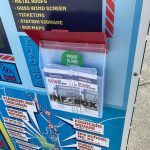 The second kiosk was installed across from the La Luz del Mundo Church on Shelby Street and Carson Avenue. A third wayfinding kiosk is located on the corner of Shelby Street and E Southern Avenue. 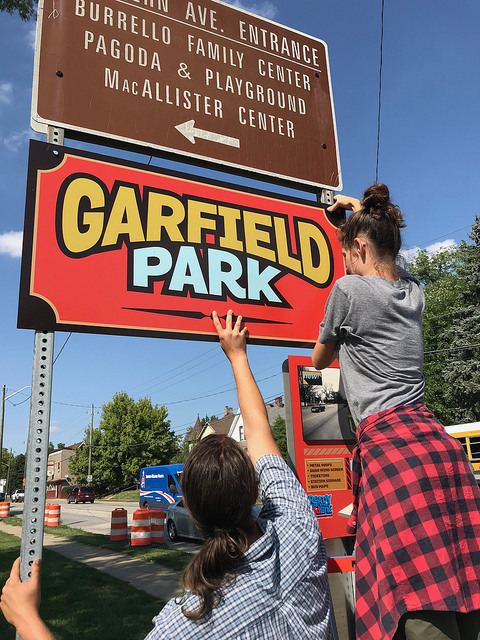 This project is made possible through Indianapolis’ participation in Transportation for America’s Cultural Corridor Consortium program, which is funded by the Kresge Foundation. ​3CIndy is a partnership between Transit Drives Indy and the Arts Council of Indianapolis. 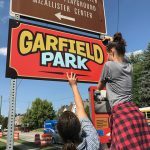 Additional support provided by Central Indiana Community Foundation (CICF), IndyGo and MIBOR.